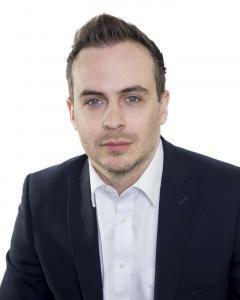 Alex is currently the Marketing Director at Top 150 Law Firm Fletchers Solicitors. He is responsible for the firm’s marketing strategy, as well as their branding and media planning, with the goal of driving as many potential new customers to contact their brands. Alex created and launched Fletchers sister brand, ‘Patient Claim Line’, in 2014. Patient Claim Line has gone on to be one of the largest and most successful brands in their space, signing a landmark sponsorship deal with ITV in 2015: the first and only time a law firm has sponsored a TV show. Alex manages a team of agencies to properly coordinate their multi channel direct response campaigns across TV and digital, as well as managing an in-house marketing team and a panel of other likeminded law firms who also receive work via the firms marketing. In addition, Alex is a member of the senior management team at Fletchers and shares overall responsibility for the operational management and smooth running of the business. The team has overseen the firm more than treble in size in recent years and Fletchers is aiming to become a Top 100 Law Firm by April 2018. Alex has a strong background in the legal sector and in senior management, having previously headed up the largest motorbike accident team in the UK. Alex is also a voluntary mentor for Virgin Startup, helping young people starting out in business. Alex also founded the Legal Marketing Network, a networking group for senior marketers working in the legal sector.